Remodeling a home can be very rewarding. In addition to adding value to the home, the remodel will also give a homeowner the opportunity to spruce up their living environment and add certain amenities that they might not have been able to afford when they first purchased the home. Hiring the right contractor, reviewing home remodeling leads, and knowing when to give input and when to stay out of the contractor’s way goes a long way in guaranteeing a project’s success. 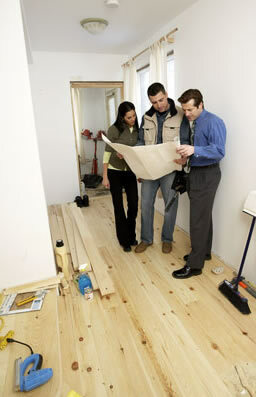 When doing a home remodel, it is best for the homeowner to be decisive. As they sit down with the contractor, it is likely that the contractor is going to walk them through a few problems that might arise during the course of the job. But it is not these little decisions that usually hold up the job. Instead, it is decisions about things like the color to paint the trim or the plumbing fixtures to put in the bathroom or the kitchen that cause delays. Having all of these decisions made beforehand will allow the contractor to have a full picture of the entire project and will allow them to coordinate the work and prevent things like installing a faucet that is so large that it does not allow the medicine cabinet door to open or something like that. Once a decision has been made, as much as possible, homeowners should strive to stick with their decision. Every single time they change their mind, it will lead to increased costs and will delay the remodel project. Every contractor who is working on the project will need to be informed of the change to make sure that no one is working based on the old plan. Of course, throughout the course of the project some changes will be made, but they should be kept to a minimum. In most cases, it is best for a homeowner not to purchase their own materials. Some homeowners do this thinking that if they purchase the materials themselves, they will pay less than what the contractor will charge them for the same materials. And while it’s true that a contractor may mark up the price of the materials, it is also likely that they will purchase the materials for a lot less expensive price than a homeowner could. So with the markup, the homeowner is paying the same price they would’ve paid at a retail store.